For an easy introduction to superconductivity, you can check out this action-packed, family-friendly talk by Oxford Physics graduate student Fran Kirschner. For an easy introduction to superconductivity, you can check out this action-packed talk by Oxford Physics graduate student Fran Kirschner. You can also find out more about superconductivity and its history in this talk by Professor Andrew Boothroyd from the Department of Physics at Oxford University. Professor Andrew Boothroyd from the University of Oxford presents an introduction to the fascinating world of superconductors and the many surprising phenomena they exhibit, from zero resistance to quantum levitation. Superconductors are metals with remarkable and unexpected properties at low temperatures which defied explanation for many decades. In this talk, illustrated with practical demonstrations, Professor Boothroyd recounts the long history of superconductivity and gives simple explanations for how superconductors work and what they are useful for. For a more detailed introduction to superconductivity, you could consider reading Superconductivity: A Very Short Introduction by Professor Stephen Blundell, one of the academics at CfAS. The Centre for Applied Superconductivity does research into superconducting materials, in particular working on projects that will lead to future superconducting technologies or the improvement of current technologies. There are CfAS laboratories in the Department of Physics and the Department of Materials. They have different equipment, so different experiments can be done in the different labs, and the researchers can work together to use the facilities they need. CfAS is not just for academics though - it is a collaboration between academia and industry to focus research on solving the most relevant problems and overcoming the barriers to using superconducting technologies more widely. What's it like to be in CfAS? Scientific research can seem a bit of a mystery to those outside the lab. To try to shed some light on what actually happens at CfAS, we spent a day in the lab in the Physics Department of the University of Oxford. When some materials get cold enough, they lose all their electrical resistance and become 'superconducting'. This means that, unlike a normal wire which heats up when electricity is passed through it due to electrons bumping into the atoms, a superconducting wire will transport electricity without losing any of the energy due to heating. This is extremely useful and has applications in power, transport, efficient engines, super-strong magnets like those used in MRI scanners, levitating trains, and a whole host of other things too. A byproduct of this phenomenon is that magnetic fields that would go through the material are pushed out, since the electrons can move in currents that cancel the magnetic field exactly, without ever slowing down. Superconductivity can nevertheless be destroyed in three ways: too much current, a magnetic field that is too high, or an increase in temperature above the so-called 'critical temperature' - any of these is enough to break the delicate state the material must be in to be superconducting. What are the animations showing? Some superconductors, called type II superconductors, do not fail immediately as the magnetic field is raised. Instead of the whole material becoming non-superconducting at once, little bits of the material become non-superconducting. This allows little pockets of magnetic field known as 'vortices' to penetrate, alleviating the stress caused by having a field that is too high and allowing the majority of the sample to stay superconducting. These vortices are the spots that you see moving around in the animations, and their motion and interactions are governed by a set of equations called the Ginzburg Landau equations. The animations are simulations of the Ginzburg Landau equations and show us how the vortices behave when different physical configurations occur. Understanding the dynamics of these vortices helps researchers to develop superconductors that operate at higher magnetic fields. This is achieved through a technique known as 'vortex pinning'. When the vortices move, some energy is actually converted into heat, which means that, despite the fact that electrons can move without losing energy, a wire made of a material in this state will still heat up due to the motion of the vortices. Scientist, then, try to 'pin' these vortices in place, not allowing them to move and thereby keeping the 100% efficiency of the wire. Pinning is done using two methods: defects and grain boundaries. 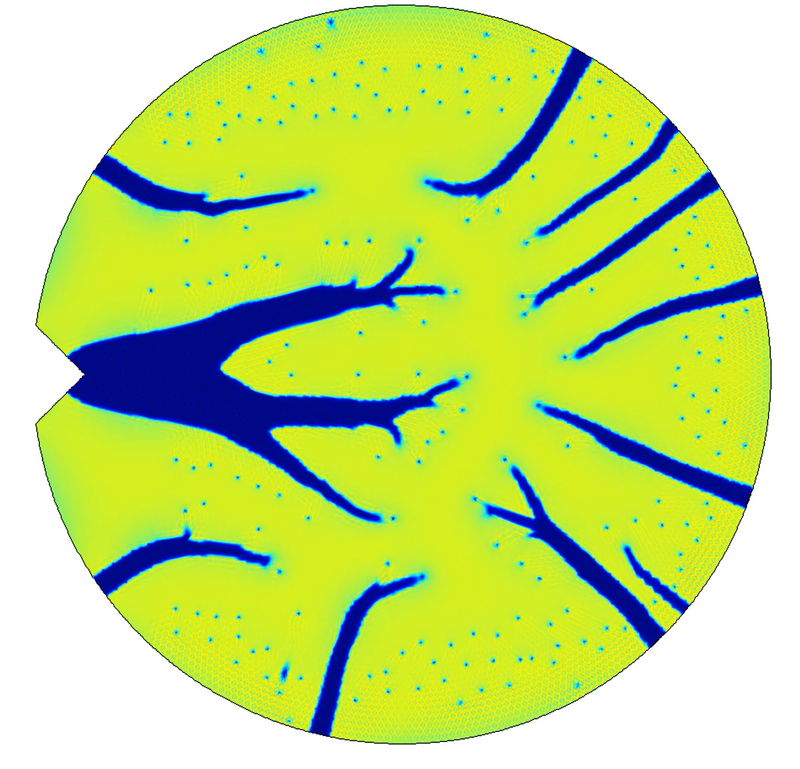 Defects are small pieces of a different material embedded within the superconductor, similar to (non-superconducting) pebbles frozen in a large (superconducting) ice block. Vortices tend to stick to these defects, which prevents them from moving. Grain boundaries are places in the material where there is a join between different sections. Imagine filling a container half full of water and freezing it, then filling the rest of the container with water and freezing it again. The result will be one big ice block, but the join between the two stages will always be visible and forms a kind of boundary. In superconductors, the boundary forms between two regions that have atoms lined up in different directions. These grain boundaries also pin vortices and prevent them from moving. By experimenting with different amounts of defects and grain boundaries, the superconductor’s properties can be improved. 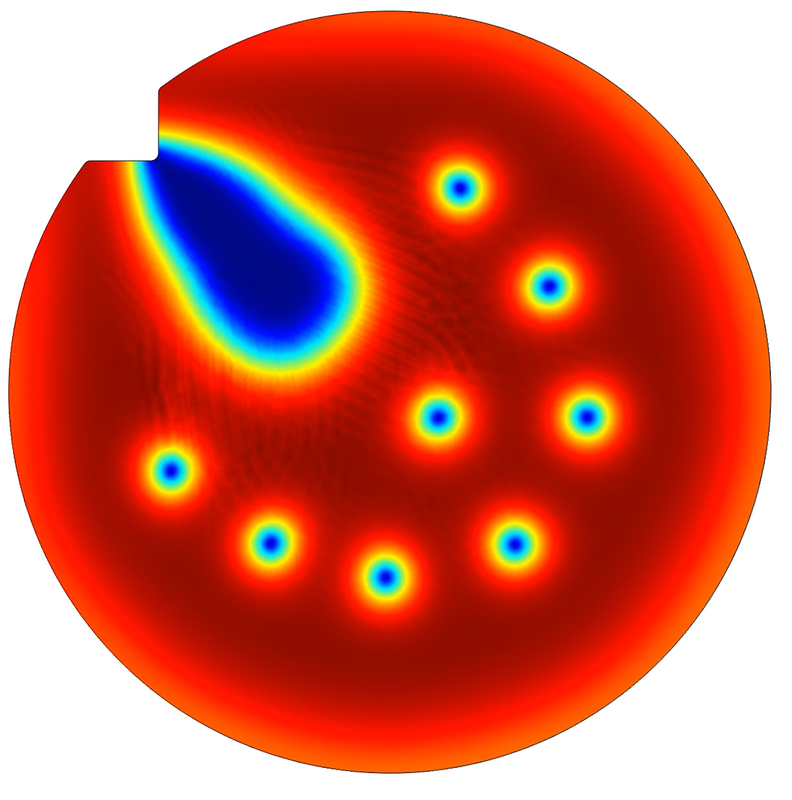 These simulations allow researchers to predict what effect changing the number of grain boundaries and defects will have to decide whether it is worthwhile making the material and performing the experiments. The spots in the animations and the regions that are the same colour as them represent places where the material has become non-superconducting, i.e. the vortices. 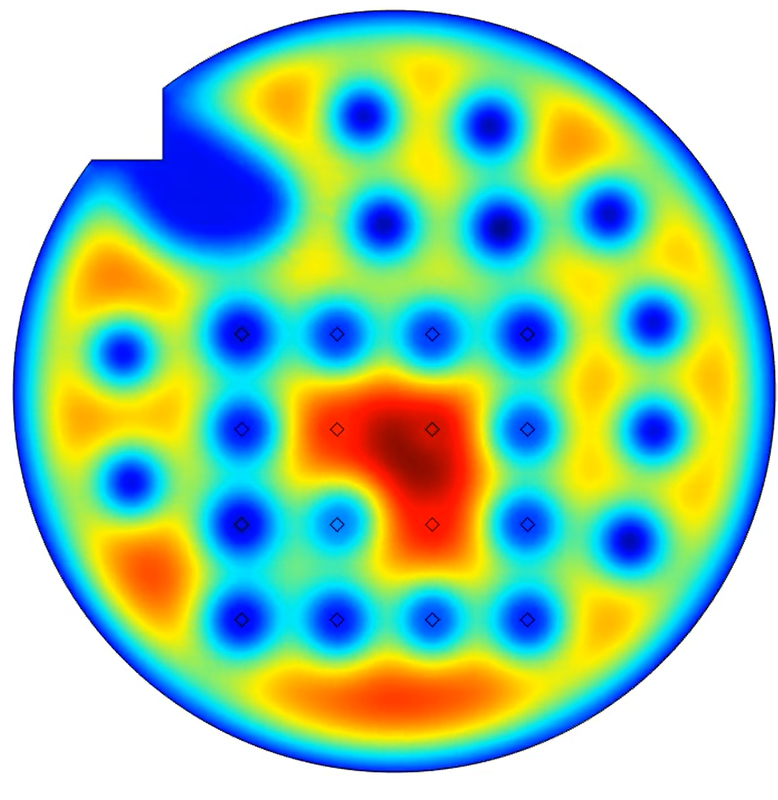 In many of the simulations, a circular piece of superconductor was simulated. This poses a problem because a circle is perfectly symmetrical, which means the computer can’t decide where to introduce the vortices - to do so would mean that that point is different from the rest, there is no reason for this to be the case! This is called an unstable equilibrium, because the state is not changing, but any tiny scratch in the surface will give a preferred place for the vortices to enter. This is not a problem faced in real life because no matter how perfect your sample, there will be microscopic scratches and marks on the surface that provide this preferred entry point. In the simulations, a notch has been placed in the circle to take on this role. In one of the simulations (the third), there is a grid of hollow black diamonds which represent the defects introduced into the simulated superconductor. These are implemented by making sure that the material is never superconducting inside those diamonds, regardless of what else is going on inside the superconductor. 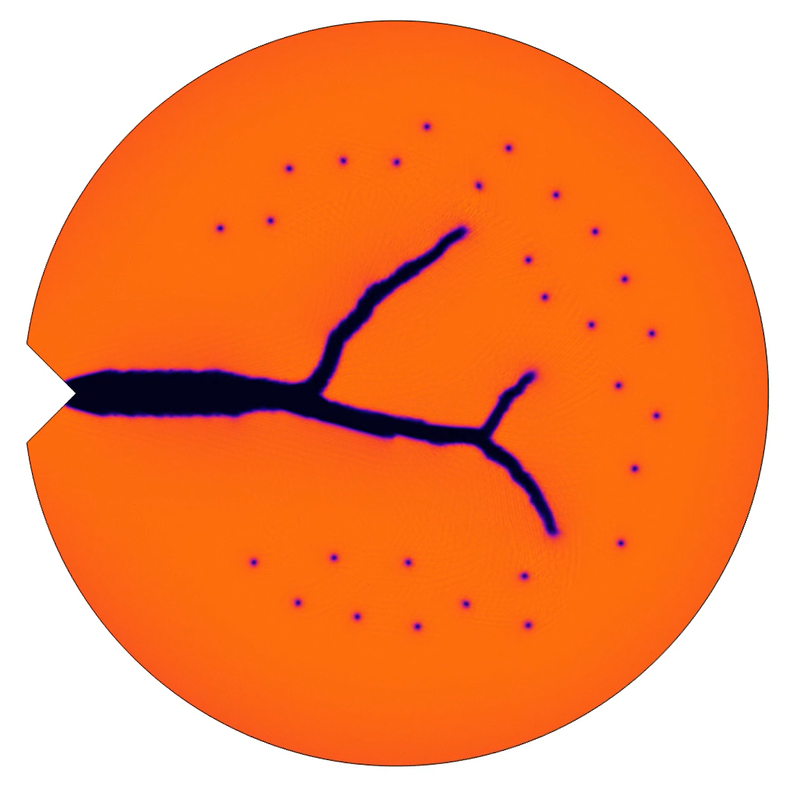 This animation demonstrates how the vortices stick to these pinning sites, despite repelling each other. These simulations were produced by Sam Sutherland as part of a summer project funded by the Centre. Simulations and article by Sam Sutherland, a physics student at Mansfield College. Video produced by Kathryn Boast and Sam Sutherland. How do you make a magnet levitate? And how is this related to fusion energy? Tokamak Energy Magnet Engineer Greg Brittles tells us about high temperature superconductors for making tokamak magnets, as well as demonstrating the superconductor's most mesmerising property - levitation. 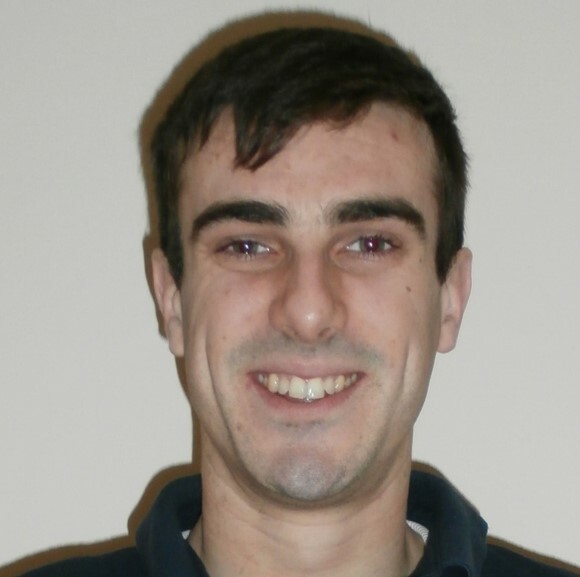 Dr Greg Brittles is a recent DPhil graduate from the Superconducting Materials Group in the Materials Department, and now is a Magnet Engineer for one of our industrial partners, Tokamak Energy.